The 13.1 ‘Do-Over’…virtual #rundate style! So what have I had up my sleeve? Well, an idea, of course! I’m calling it the 13.1 ‘Do-Over’ with a twist…a virtual #rundate twist! You see, I feel ripped off by my performance in the half marathon on Sunday and I want a do-over. I want to run all 13.1 miles again, but on my own terms, my own turf, and my own time. And as part of that, I want YOU to join me! You see, there are quite a few of the runner type that read my blog or follow along on Twitter and I’m all for what I like to call ‘virtual #rundates’ where we agree on a day/time and say what our planned mileage is. Then, we report back later with our run, how it went, if we saw bunnies (okay, just some of us count bunnies!) and other fun stats. So, I challenge you…to join me on my 13.1 ‘do-over’ virtual #rundate style! Who’s with me?? I am thinking about doing this on Labor Day weekend. I have not decided which day yet, but I know M, my sister and Scott and maybe Steph (?!) who all ran the half marathon will join me and we’ll trot along 13.1 all over again. Together. And this time, I hope to cross the finish line together with my sister, or at least close(r) than before. Running proud, strong and happy. No time, no ‘race mentality,’ nothing but the 13.1 miles of scenery. I would LOVE for you to join me on this do-over and will update you when I pick the date (and you can always pick a different date that weekend and report back! ), but I want to stress that you do NOT have to run 13.1 miles to join my do-over. You can run 1, 4, 7, ,12, or 26.2 miles if you want. Just join me. It’ll be fun. We’ll hashtag it, spread the word, and the #13.1rundate will be born. I am a RUNNER, not a RACER. First, thank you all for your beautiful words of encouragement, support, and in several cases, ‘getting’ why yesterday’s half marathon felt like a failure to me. What I realize after yesterday’s half marathon is this: I am a RUNNER, not a RACER. 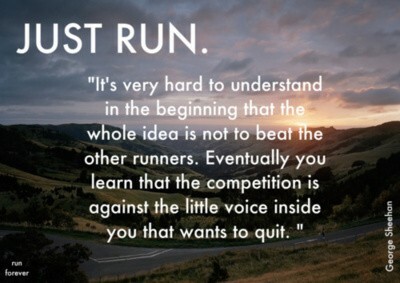 The racing element to running is just simply not for me. 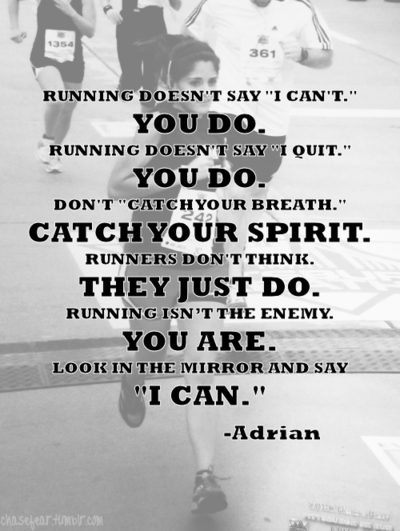 I don’t need to run half marathons to prove that I can do it. I can run 13.1 miles to prove that I can run 13.1 miles, without the pomp and circumstance of an actual race. I did this half marathon because I told myself (and you!) that I would. But this is the last race I will likely ever do. Because while training for this race eventually became what I wanted it to be…testing myself in increasing my mileage, kicking my running struggles to the curb, learning to breathe and *not* think about it, and finally enjoying running again, it felt more like work, and less like fun. 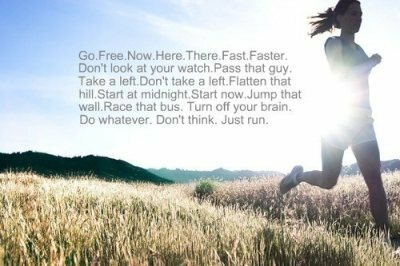 And I never want to hate running. Because I don’t. I never want to feel anxiety over a pending ‘deadline’ of a race. I never want to feel nervous about being the last runner into the gate. It’s not me. I am a self-professed slow(er) runner and I will never be in the ranks of 7-8 minute miler and that’s okay. I run for me, I run to spend time with M, and in a way, as the beautiful Melissa put it in her absolutely astoundingly inspiring post (please read it! ), I want to impress myself. I am not afraid to admit that. What I am almost afraid to admit is this: I don’t think I ran this race so much for me as I did it because ‘I said I would’ and because well, my sister ran it too (and killed it! check out her day two recap with pictures!) and we do everything together. But as another bloggy friend pointed out to me separately, (and as Jess actually put it in her post I linked to above), just because she does it, doesn’t mean I have to, too. This may be the very first time we have not done the same thing workout/challenge wise. And while I thought I would hate that, it is easier to swallow than I thought. Because she thrives in the racing atmosphere. I do not. And I am content with that. I look back at the two half marathons, multiple 5Ks and 5-miler races I have done and not one of them has ever been a good race for me, a good experience, one that I ended with a runner’s high. No, they always had some element of anxiety, stress, side cramps or panic that I never really put two and two together on before. Sure, I could keep trying to ‘fix’ my anxiety when it comes to the race element, but for what? What drives me to run is me, and what drives me to race is well…I don’t know that I have a proper answer to that. It used to be a ‘running group’ I joined with a few local runners/friends when I first started going through divorce, as a way to get me out and about and trying new things. But that group has long since dissipated. I don’t need to race. I need to run. For me. I may go with the ‘never say never’ mantra because you never know…but for now, for me, I am a runner. Not a racer. To be continued tomorrow on how I plan to keep challenging myself with my running…I have a bit of a challenge up my sleeve that I am excited to face. I was trying to come up with the perfect motto, the perfect quote, the perfect thing to say on the almost-eve of my second half marathon on Sunday. But the best phrase is indeed the simplest. I will do that on Sunday and will do it for nobody but myself. I feel a sense of calm, a sense of willpower like no other and a sense of determination firing up inside of me. I’ve been reading some great inspirations today, like this, and this, and some great tips, like this. I’ve also come across some awesome mantras and I love each and every one that I’ve found as at the core of it, they cry: just run. See you on the other side…of 13.1. M posed this question to me on one of my particularly frustrating, struggling, feel-like-lead-want-to-panic-can’t-breathe runs about 5 weeks ago and I didn’t have a good answer to that question. I thought about it and was at a loss for words. But now, as I have *finally* found that running groove that I was desperately seeking and questioning whether it would ever come back, questioning if I really WAS cut out to be a runner, and hell, WAS I even a runner at all…I know the answer. Because I want to prove to myself that my body is capable, that my mind is capable, that my body will carry me every step of that 13.1 miles on Sunday. And why else do I want to run a half marathon? 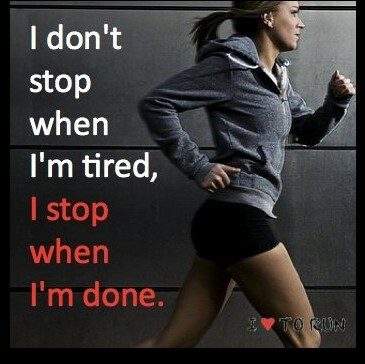 Because I AM a runner. Reading Tina’s post and Jess’s post today and nodding with every word they said, I sat back and thought,“‘huh. I’m a runner too, aren’t I? ?” Never thought I’d see the day where I’d say that and believe it (I’ve said it before but I didn’t really believe it). And even though I struggled a bit on my last run before the half (4.5 miles, but was having a bit of an – ahem – issue needing to go to the bathroom, if you catch my drift. TMI, yes, but does that happen to anyone else?! M equates it to ‘running with a backpack on’ and well, that’s exactly what it feels like!! ), it wasn’t that my legs weren’t carrying me or that I was struggling with my breathing, it was just that other ‘issue’ (though I admit to letting it get to me mentally, worrying about this happening on Sunday. I’ll squash that for Sunday though, I am determined!). I am looking forward to crossing that finish line on Sunday (even if we’re in for a rainy forecast…) more than I ever thought I would. Because I can. 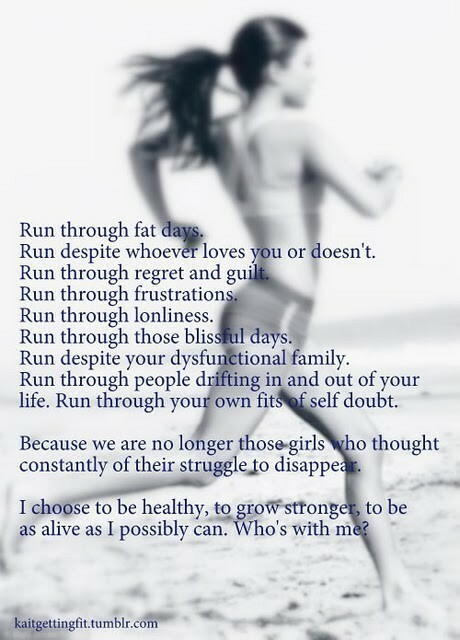 Because I am a runner. Have you ever run a race of any length? 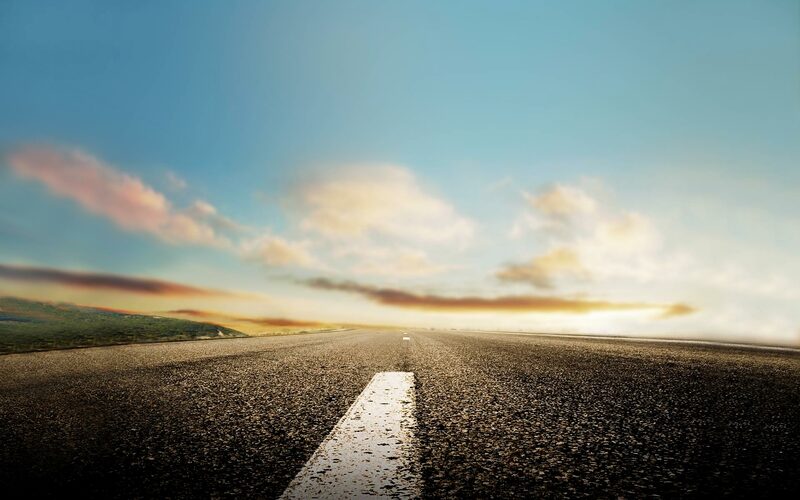 Do you visualize the finish line as motivation? Have you ‘run a marathon’ of another kind (metaphorically speaking) and conquered it? Let’s call this ‘Share Thursday,’ shall we?